Flat Tire $20 + Removal and inspection of tire. Installation of new inner tube. ​Secure storage from November to April, includes Tune Up. 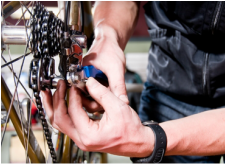 Tune Up $45+ Complete bike inspection and adjustment, oil chain, pump up tires, tight all nuts and bolts. No appointment necessary. 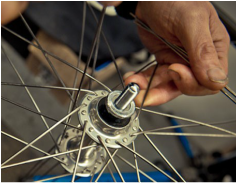 Complete bike repair, re-greasing bearings and cables, full cleaning, truing wheels, adjusting brakes and gears, oil chain , inflating tires.